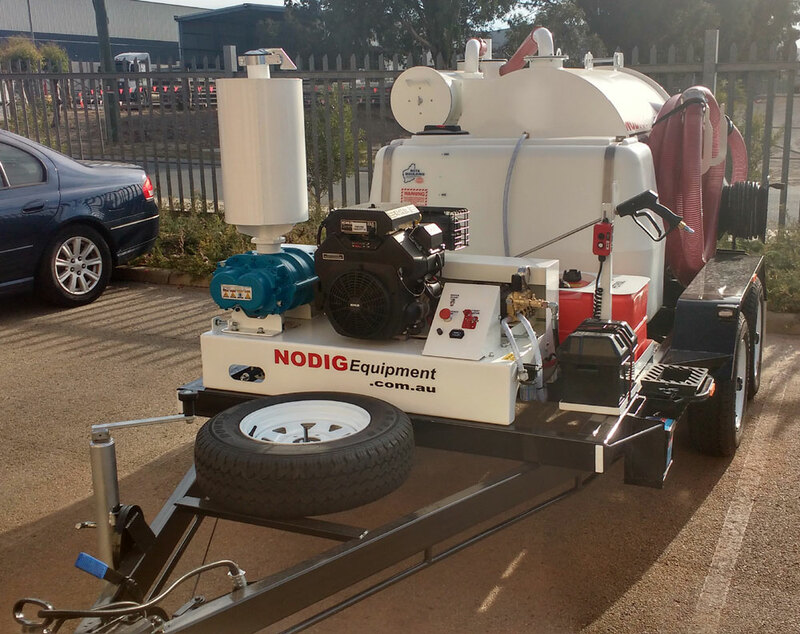 The VM1000 Vacuum Excavator is used mainly in crowded spaces, like cities and other suburban areas where underground services are prolific and the impact of you work has to be minimal. 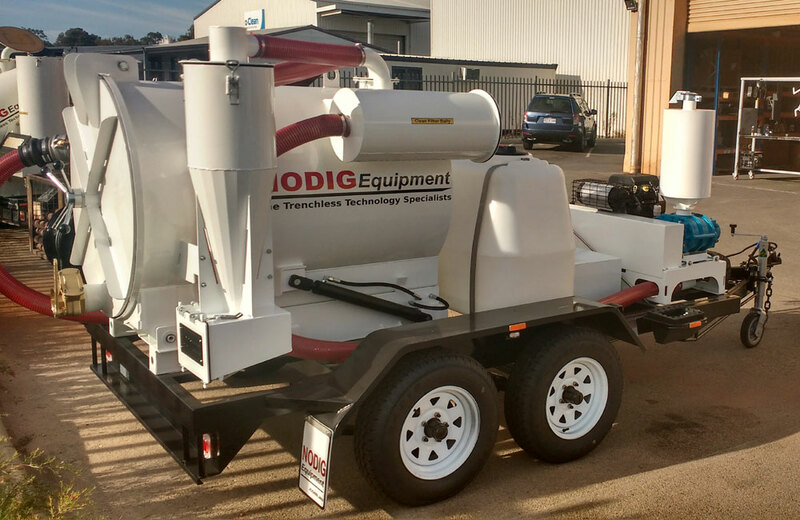 VM1000 mounted on a heavy duty 3.5T skeleton trailer with electric brakes which incorporates all standard components in one simple package, ready to mount on your own trailer or small truck. Perfect for Australian hard pack clay and the common hard red earth that you find everywhere in WA. 7m of suction hose from the tank to the suction pipe. 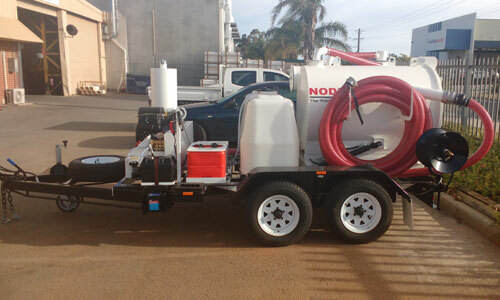 3.5T Heavy Duty trailer with electric brakes included.